Image description: Heather Holmes is seated to the left of CM Hall, smiling, with her hand resting on CM's leg. CM is also smiling and signing hello. Hello! All of us at DBI want to thank you for participating in a successful launch of our DBI Moodle and our first asynchronous webinar. We had over 1,200 people sign up for a DBI Moodle account, and already more than 400 people have participated in our webinar! We have received great feedback and are excited to continue to work with you all. Many of you have had questions and we want to answer those here. If you haven't registered, you still can! Read on for the link details below. A few questions came up that we want to take the time to answer now. Question: I can't get logged into my Moodle account to view the webinar! What can I do? Answer: No problem! We are happy to help you troubleshoot and get into your account. Reach out to dbitechsupport@wou.edu and we will be happy to help! Question: How long will this webinar be available? Answer: This webinar will be available for CEUs until May 20th. It will remain open in your Moodle account throughout the remainder of our grant cycle (December 31, 2021), but will be available for CEUs until the May 20th deadline. Question: How long does it take to process CEUs once I have completed the pre-test, watched the webinar, and post-test? Answer: DBI is batch-processing CEUs every few weeks for those who have completed the pre and post-tests for this webinar. We are also sending certificates of completion to all who complete the pre and post-tests. While we realize that some people may be on a tight timeline to get their CEUs to post before their RID CEU cycle concludes, we are a small staff and are not able to process CEUs under tighter timelines. Question: Can I get a certificate of completion from this webinar? Answer: Yes! Once you complete all the requirements with this webinar, you will receive a certificate of completion. If you do not receive your certificate, please contact dbi@wou.edu . For future online modules, certificates will be available upon request. Question: I logged on and watched the webinar but don't see anything else that I am supposed to do in Moodle. Answer: At this time, the only content that is live in Moodle is the webinar. You must complete the post-test after watching the webinar, but aside from that there is nothing else for you to do in Moodle at this time. As we add more modules and content, we will send an email to let you know. Question: Will all your modules be as easy as this webinar? Answer: No! (Big smile) The purpose of our webinars will always be to disseminate new information. Aside from the pre and post-test, there will not be any other assignments for webinars. Our content modules , however , will require more time, more effort, and will entail several assignments for you to complete. These modules will be self-directed online courses and you will be responsible for completing all assignments and evaluations according to course timelines. Question: When will the next module/course be released? Answer: DBI will stagger the release of new content over the next few months. When a new course is available, we will send out an email announcement inviting you to participate. 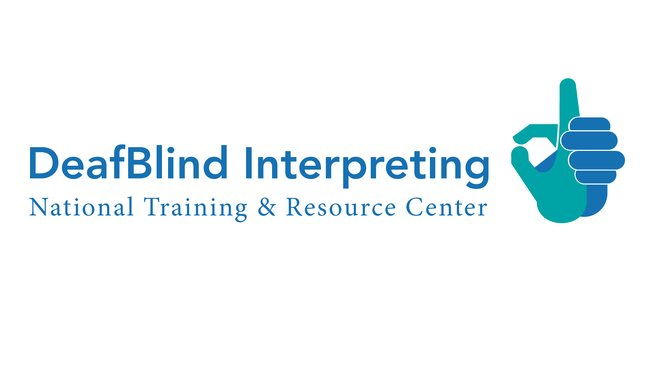 Some courses coming up are: The Protactile Movement- History, Philosophy, Attitude, and Language; Protactile ASL- The Seven Principles; and Interpreting in Vocational Rehabilitation Settings with DeafBlind Consumers. Question: When will you share more about the face-to-face training opportunities? Answer: The DBI team is almost finished developing application materials and they will be released soon. The first training this summer will be in Seattle and will be offered to a smaller number of interpreters as a pilot. If you are not selected to attend this training, your application will be saved and considered for subsequent training opportunities. Remember, we will only be able to offer face-to-face training to a limited number of participants, so be sure to complete your application early and submit all required paperwork, language samples, and letters of recommendation and reference as applicable. Questions? Comments? Need help navigating Moodle? Someone at DBI is always happy to help. Just reach out and let us know what you need. We want to thank you all again for a wonderful launch and invite you all to keep in touch! Registration is FREE and includes access to all future public training content on the DBI Moodle site. This webinar is open to all and is available for CEUs. Being awarded CEUs is contingent on completion of a pre- and post-assessment. Not sure if you can participate right away? You should still register! We will keep the recorded content available to all registrants until Sunday, May 20th. Having trouble getting started? Need an alternate format sign-up form? Contact us at dbitechsupport@wou.edu. *Please note: In order to receive CEU’s, you will be required to complete pre- and post-tests and a minimum of 75% of content. 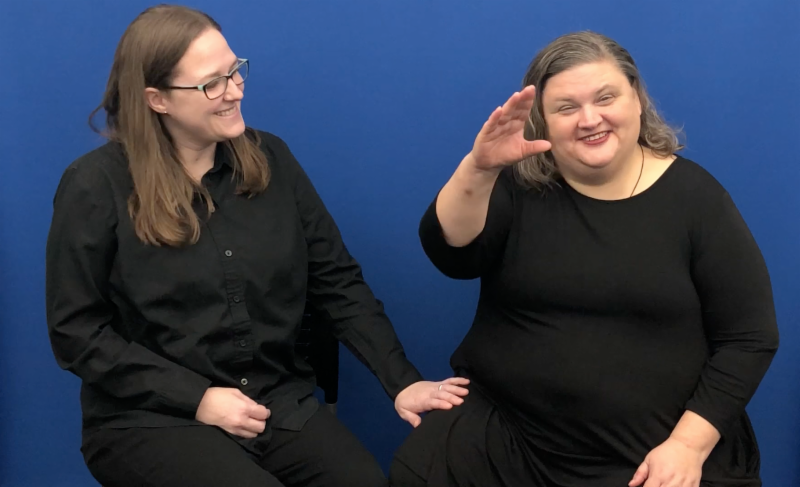 0.15 CEUs in the category of Professional Studies will be offered by the Regional Resource Center on Deafness at Western Oregon University, an approved RID CMP and ACET sponsor.